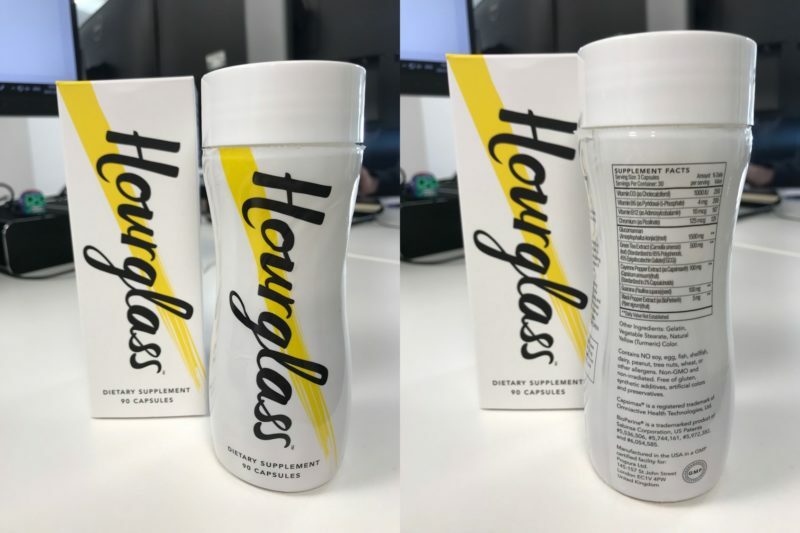 Home » Reviews » Hourglass Fat Burner Review – Does it Really Work? The Hourglass fat burner is a female supplement, designed specifically to help women with their weight loss journey. Recently, it’s gained quite a bit of traction amongst all the fit ladies out there, but we wanted to look deeper and use our expertise to find out whether it can really help you lose weight. The design is smart and clean cut and the name itself identifies it clearly as a product that’s designed to cater to women. We’ve said it before in our other reviews, but we’re always wary of a product that markets itself towards female consumers. We know firsthand that women have different needs to men when it comes to losing fat. However, a lot of supplement manufacturers just repackage normal fat burners to appeal to a female audience, in a bid to cash in on our weight loss attempts. That doesn’t fly with us. As we carry out our Hourglass review, we’ll always have the unique requirements of women in mind. Our first impression was a good one. We’re happy to see the manufacturers refer to their product as a “slimming partner”. They’re realistic and responsible about the fact this is an aid to a calorie-controlled diet and an active lifestyle. They haven’t made any unfounded promises about guaranteed transformations, it’s presented as a support rather than a cure. The manufacturers claim Hourglass can help make your figure goals a reality. They say the supplement will do this by using quality ingredients, formulated to create an intelligent fat burner that’s designed to help you drop pounds. They’ve also put a big focus on a burner without side effects or stimulants, which sounds great, but we want to know how it will help you stay active. To see if the product really lives up to these claims, we’re going to put the supplement profile under the microscope. We’re looking for all-natural, high-quality ingredients that work harmoniously to boost fat burning and reinforce all the hard work women put into their diets. We’ll look into how these ingredients are dosed to assess whether they’re effective, yet still safe to use. From there, we’ll explore the internet to see what fans and critics are saying about Hourglass. This is to make sure it’s delivering results across a wider pool of consumers. To finish, we want to know if Hourglass is value for money. We’ll compare our findings with the cost of the supplement to find out if you should be spending your hard-earned cash on this fat burner. At SpotMeGirl, we’ve collectively got years of experience reviewing and testing supplements. When you’ve been doing this as long as we have, you have a good idea of what ingredients to look out for, what will work and what’s a scam. We’re going to share that expertise with you and give you some insight into what we found. Here’s our Hourglass fat burner review. What are the benefits of taking Hourglass? How do you take Hourglass fat burner? What are the benefits of taking Hourglass ? One of our main benefits of Hourglass is that it caters to women’s needs. It achieves this through a range of different methods, which all bring their own benefits. Here’s what you can expect from the supplement. The Hourglass fat burner contains a number of potent ingredients designed to trigger thermogenesis. When this happens, your body temperature is raised slightly, which burns more calories, as your internal systems attempt to cool back down. This additional fat burn is complemented with appetite suppressants. These take the edge off cravings and hunger pangs, so you can focus on sticking to your diet, without being tempted by snacks. There is a small amount of caffeine within the green tea extract in the formula, however it’s not a lot. Other than that, this formula is completely stimulant free. This may be a benefit to some, as we know many women are sensitive to caffeine. The amount of green tea extract itself is quite generously dosed. However, if you’re looking for a fat burner with a kick and to help you through your workouts, something with a reasonable addition of caffeine will always have an edge. The Hourglass formula also puts a lot of emphasis on helping your body process food and metabolize it into energy rather than fat. These ingredients should improve the way your store fat, promoting a healthier composition of brown, to white fats. Due to its completely natural profile and lack of added stimulants, we’d rate Hourglass as completely safe. All of the ingredients in the mix are well dosed and the lack of caffeine anhydrous makes it a safe formula, that shouldn’t give any adverse symptoms. Yet, there is still a small amount of caffeine within the green tea extract. If you’re particularly sensitive or you drink a few cups of coffee and tea throughout the day, it’s worth factoring the extra into your diet. Be sure to drink plenty of water to avoid dehydration from the diuretic effects of caffeine. If you’re pregnant, speak to your doctor before you take any kind of supplement. Hourglass is made up of 9 well-dosed, completely natural ingredients. This lower number of ingredients means they can perfect the doses to maximize effectiveness, and we’ve noticed many generous measurements. After examining the supplements label, we found that each one is highly researched and proven to aid the fat loss processes within your body. To give you a better idea of what we found in the Hourglass formula, we’ve rounded up and assessed the key players. This vitamin is a regular in supplements. Not just fat burners either, as B6 can be found in just about every multivit going, which is why we know all about it. One of the benefits of B6 is it can help your body use stored glycogen (aka fat) for fuel, meaning you’re more likely to turn to fat cells to create energy . It can also boost your metabolism and help improve the way you oxidize fat. Science has even shown that those who regularly supplement B6 and B12 (which is also in the formula) experience less weight gain than those who don’t. Otherwise known as konjac root fiber, this is the one of the most effective appetite suppressants you’ll find in a natural fat burner. As a soluble dietary fiber, it swells when it hits your stomach, making you feel fuller . Understandably, this has a plethora of benefits for a woman on a diet. If you’re not hungry, you’ll feel less inclined to snack and overeat, avoiding any diet disasters. Science has linked the supplement to numerous cases of fat loss, making it one of the most popular appetite suppressants in the fat burning range. A range of studies have linked the thermogenic qualities of chili peppers to fat loss and even to suppressing appetite . This form of capsicum supplement is a much more concentrated extract taken from the original fruit. After research we’ve found this to be a powerful thermogenic ingredient, which provides benefits without the irritating side effects that often come with spicy foods. Capsimax® heightens the level of capsaicinoids in the supplement, which heats up the body and boosts your metabolism. In our eyes, every good natural fat burner should offer a portion of green tea extract. Countless studies have linked it and the catechins it contains with fat burning . Therefore, it’s a powerful ingredient to include in a fat burner. The green tea extract in Hourglass is standardized to provide more polyphenols and EGCG. This translates as a heightened boost to your metabolism and an even richer source of catechins than your average extract. The manufacturers have provided a powerful version of green tea extract, that’s specifically designed to get results. Compared to other stimulant free fat burners, Hourglass provides a very generous portion of green tea extract. This boosts thermogenesis and provides a clean lift from the caffeine within the ingredient. Chromium has been shown to influence a number of ways your body processes food and is proven to help reduce the feeling of hunger . Chromium helps to normalize blood sugar levels, which can help to increase insulin sensitivity, thus improving the way we use and store sugars in fat cells . According to studies, normal blood sugar levels are also linked to reduced cravings, providing another barrier against snacking and overeating. Some of the ingredients within Hourglass have been clinically dosed to provide certain results, so we suggest you follow their guidance to get the best experience out of this supplement. The recommended dose of Hourglass is one capsule, three times a day, to be taken at meal times. One slight adjustment we’d make is to take the fat burner around half an hour before the meal with a large glass of water, rather than when you eat. This gives the glucomannan time to expand into a gel in the stomach, stopping you from overeating. Remember that this supplement contains some caffeine within the green tea extract, so try not to take your final capsule close to your bed time. It’s a relatively small amount of the stimulant, but it’s worth bearing in mind if you are sensitive. A single container of Hourglass fat burner has enough capsules to last for 30 days. The manufacturers also provide a deal which could save you money if you decide this is the fat burner you want to use long term. You can buy three containers and receive an additional free box, along with complimentary worldwide shipping. 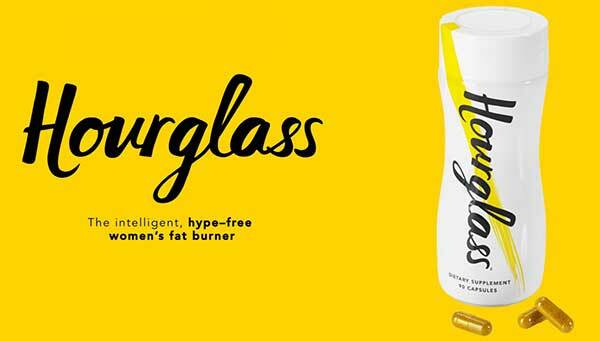 For a women’s only fat burner, Hourglass holds its own. The intelligent formula, made from high-grade natural ingredients, is designed to both support a diet and maximize results. As a product catering to women, it’s refreshing. You can see that consideration for our unique weight loss needs has been at the forefront of the manufacturer’s minds throughout the creation process. They’ve included ingredients to help combat cravings and avoid temptation, something that puts a stop to diets for so many females. The fat burning ingredients are well known, highly effective and optimally dosed to assist your body’s natural weight loss processes. As long as you eat well on a calorie restricted diet and enjoy an active lifestyle, Hourglass should boost your efforts. One downfall with Hourglass is that it doesn’t contain a stimulant. We understand that a lot of women are sensitive to caffeine, however there’s a lot to be said for a small amount in a fat burner. When on a low-calorie diet, it can be difficult to put in your best efforts in a workout, or even to muster up the motivation to go to the gym. If that sounds familiar to you when you’re on a diet, this might not be the best fat burner for you. However, if you are sensitive to stimulants, you’ll probably get on with Hourglass very well. Another sticking point may be the price. It’s not the most expensive option we’ve found, but it’s still at the upper end of the spectrum. Having said that, it’s a well-researched female fat burner, packed with effective natural ingredients. We think you’ll struggle get that kind of quality from a cheaper product. Anton SD, Morrison CD, Cefalu WT, et al. Effects of chromium picolinate on food intake and satiety. Diabetes Technol Ther. 2008;10(5):405-12.